Labels have finally arrived, and we are so glad they have. 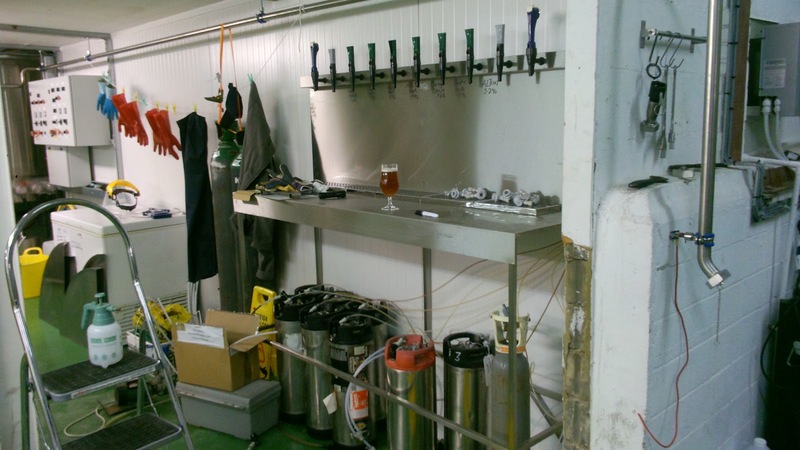 We currently have 4 fully conditioned batches or beer taking up valuable room in the brewery. 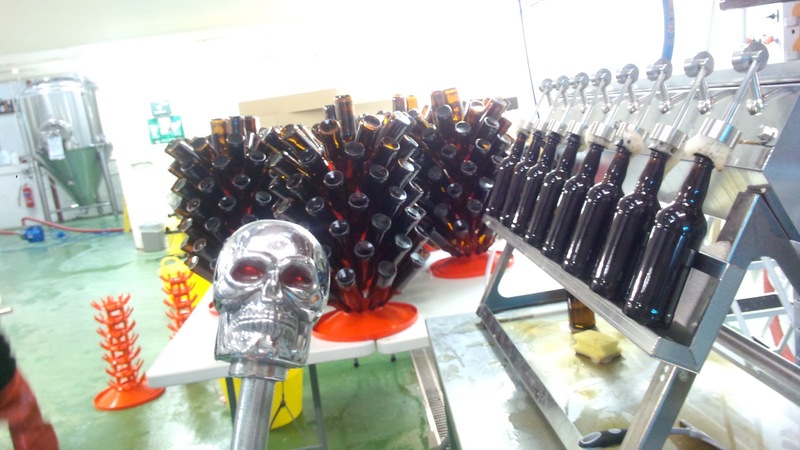 We have distributors, shops a people requesting bottles, so hope to get them flying out the door by the end of next week. I hope you agree that these labels look awesome. That's all thanks to our friends Josh and Chris. Another week, and more beer is leaving the brewery. We were lucky enough to get orders from some of our favourite bars around London, and are super excited that our beers will be on the bar along side some fantastic breweries in the next week or so. For a full list of what is going where, be sure to keep checking our OUTLETS page on our website. We can't always tell you when things are going to be on, but we can tell you what we are sending out. 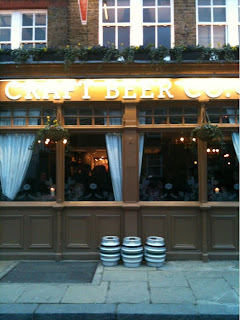 The picture above shows Gregg's rather worrying delivery technique of leaving beer out side bars on the street.If you can't find our beer in your favourite pubs, ask the bar stuff to get it in. 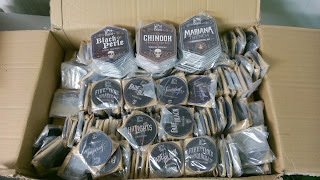 Along with label deliveries, we received our pump clips, to send out with casks, and Keg optics. Again, we are super proud of these, and think they should have a good impact on the bar. Thanks again to Josh for sorting these out for us. 5 o'Clock Shadow was bottled this week, along with a whole load of key kegs. No casks this time round. This left us with an empty fermenter, and we don't like that. So the very next day we were brewing again. This time round we opted for Fade To Black, our 7% black IPA. This beer uses the 'Marmite' of hops, Sorachi Ace. We love this hop, but know a lot of people hate it. It is not an easy hop to get hold of either, but we were lucky enough to persuade our hop supplier to let us know as soon as they got some in. Holy Hoppin' Hell is still misbehaving. It's still fermenting, but has slowed to a snails pace. The quick fix would be to raise the temperature from the 18.5 degrees C it's sat at, to something more conducive to happy hard working yeast. Not so easy when we only have chilling for the fermenters and they are sat in a cold industrial unit. It's 88% of the way to it's desired final gravity, so we have gone and dry hopped with 15.5Kg of pellet hops. That's 10g per litre! This is going to be one to drink fresh. Josh is currently working on the branding for this beer, and it's looking pretty special. I dont know about you, but every time I say "Holy Hoppin' Hell", I think of some masked sidekick from a 70s super hero show. 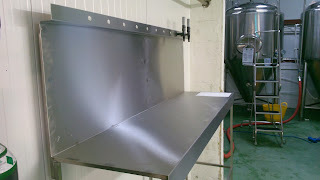 We now have a working bar, although we still cant sell any beer from the brewery. But it is there for us and any guests to enjoy a few samples. 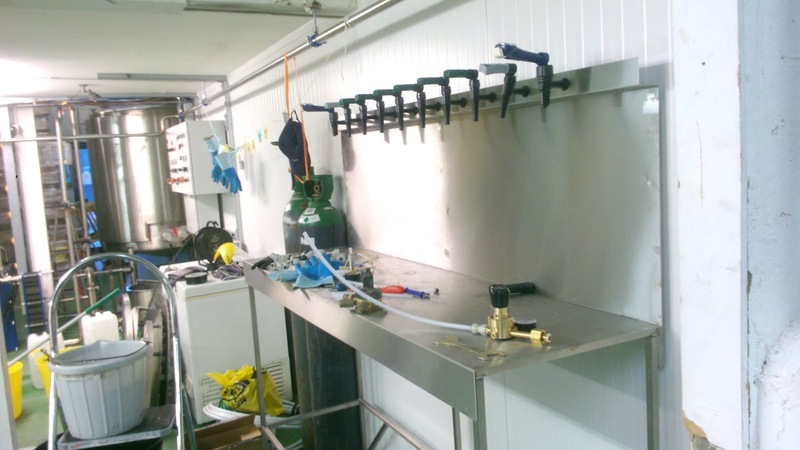 It is not quite finished yet, as the cornie kegs are meant to be the other side of the wall the bar backs onto, in the cool room. They are under the bar as the cool room is still being used a warm room, meaning the main brewery is the coldest, and therefore best place for them. 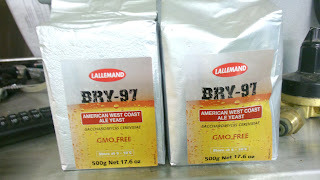 I have included a random picture a the new yeast we have started using. I personall think it's great, especially the name. This week has been more about the selling of beer. Last week we reported that a cask of Black Perle had gone out to the Bull in Highgate for their Stout Festival. Well, this week a hole load more beer went out. 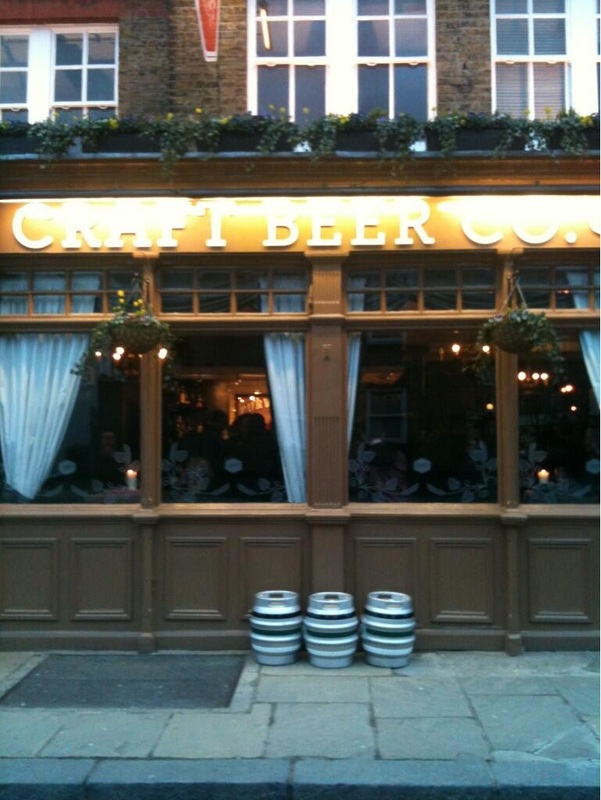 Including key kegs of Miss The Lights and Mariana Trench going to the Over The Hop festival at the White Horse Parsons Green. A cask of Miss The lights going to George and Dragon in Dartford. A cask of Mariana Trench to our local, The Fox In Hanwell. The list goes on. The best way to keep up to date is to vist the OUTLETS section of our website. We try to give details of where, when and what Weird Beard beers you can get. Unfortunately we are still waiting on bottle labels, meaning the labeller is sat in the corner feeling unloved. We have started calibrating it, and getting the rotary tables and fittings ready. This wait has not been such a bad thing though, as we have had a few carbonation issues with the bottles. They have taken a little longer than we would usually expect, as it has been pretty cold in the brewery. But in the time we have been waiting for the labels the beers have developed a good carbonation. 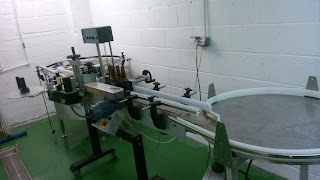 So hopefully a good few days this week will be spent sending bottles along the conveyor belt and into the labeller. Then we can start shipping bottles for you guys to drink at home. The bar is also starting to take shape, and will hopefully be sorted by the end of the week. All views and grammatical errors are those of WeirdBeardBryan, and not always the Weird Beard collective. This beer started life as South Seas pale ale and was hopped with the NZ hops Pacific Gem and Nelson Sauvin. 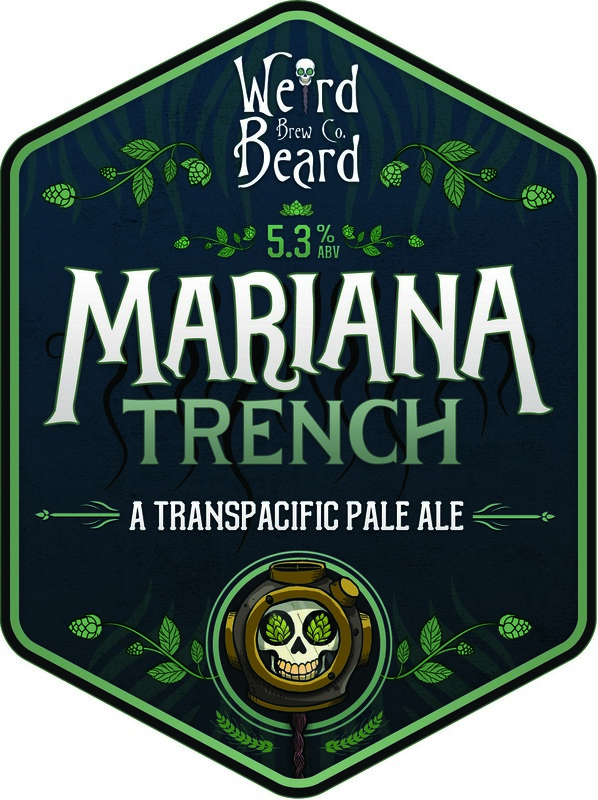 Unfortunately we are unable to get hold of Nelson Sauvin in anything more then home-brew quantities so in came Citra and out went the Nelson and Mariana Trench was born. 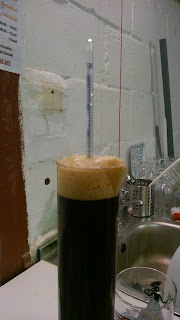 We aimed for 5.1% and overshot slightly thanks to more complete attenuation than we were expecting. This beer will be available in bottle, cask and keykeg. The first cask is going to The Fox in Hanwell our closest good local pub and the first keykeg will be at the Over the Hop festival at the White Horse in Parson's Green from the 22nd - 24th March. Look out for Bryan at a Meet The Brewer on the Saturday afternoon. 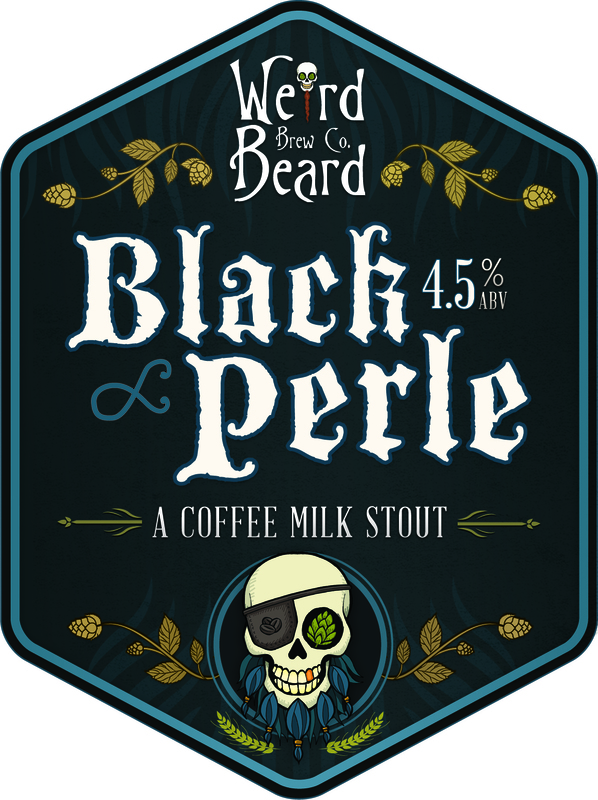 Black Perle is our milk coffee stout, and a cask of this escaped the brewery earlier this week, so we thought we better introduce it properly. 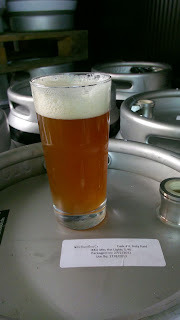 The idea for this beer came when I was drinking a Perle single hop IPA. My wife hates milk, and upon sampling the beer she starts screaming that it tastes like milk. Now the power of suggestion can be a strangely strong thing, and i could then taste the milk in this beer, but I found it less objectionable. Around this time we were working on our stout, so this all got me thinking about a milky coffee stout. Milk stouts or sweet stout are traditionally made with milk sugar, or lactose. So we combined all these to make a sweet, milk, coffee stout. I don't think this tastes like a milky sweet coffee, but it definitely works as a sweet coffee stout, AKA milk coffee stout. I think this was one of the easiest beers to name so far. It is a stout, so black, and it is single hopped with Perle, although this isn't always pronounces as in pearl, but it is close enough (to not get sued). This is now sounding very much like a ship from a well known film, and I'm sure everyone out there likes the classic pirate, don't they? So Lup'in put on his pirate persona and Black Perle was born. When it came to sourcing coffee for this beer, we wanted to find a supplier local to us. 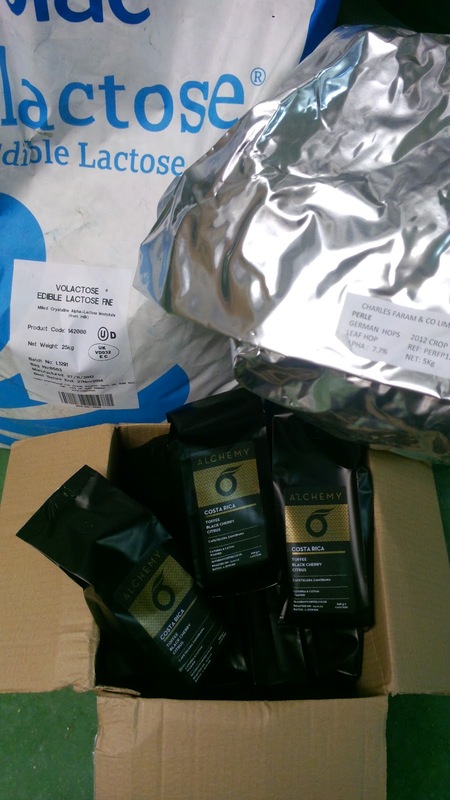 We ended up being put in contact with Alchemy Coffee by a mutual friend. They invited us over one evening, and we arrived armed with a prototype bottle of Black Perle, and another non coffee milk stout as a tester. When we arrived they had thought about our proposal and select 3 different beans to sample. They talked us through and tasted all these with us, and we talked them through our plans for the beer, while sampling that. We then went through each bean, mixing it with the milk stout we had brought and trying to find the best match. We went with a Costa Rican Zamorana bean. This wasn't the most exciting coffee we tried, but the one that suited this beer best. The more exiting one will find it's way into another beer in the future. We really enjoyed our evening with Jamie and Joe, and hope they will visit us at the brewery some time soon. Now, this was our 3rd brew on the new kit, coming just a week after the brew of Miss The Lights. I am not going to lie to you, we are still learning the kit, and this brew didn't go without it's issues. The main problems came from changing our process from lessons learnt, but going too far in the other direction. We backed off slightly on the grain bill, as we had been getting higher efficiency in the last couple. We are also having some issues with volumes, as sight glasses on some of the vessels had not been installed at this stage. This all resulted in this batch weighing in at 3.7% instead of the planned 4.5%, which also makes it a little thinner than we would like. We think the taste of the beer is pretty much spot on, so decided to release it as Black Perle, but we hope to bring future batches back up to the original 4.5%. 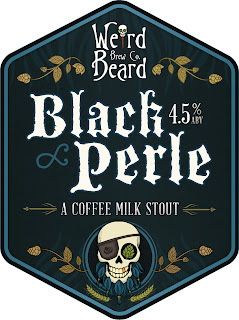 Black Perle will be available in 500ml bottles and on cask. There is a possibility it may appear on key keg some time in the future, but we dont feel that this first batch quite suited it. I also mentioned that a cask of this escaped the brewery this week. 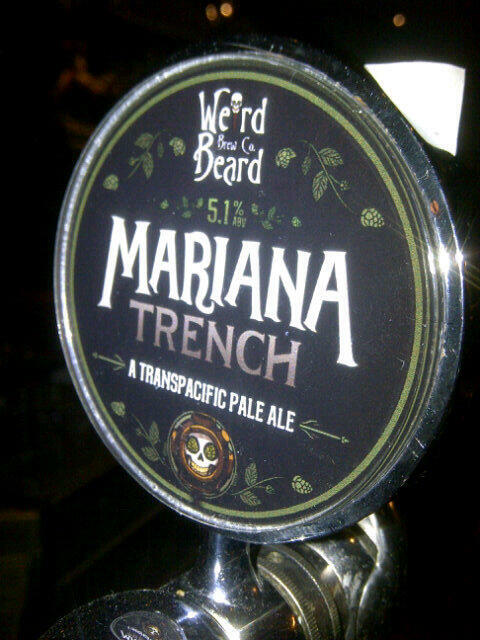 That would make this the first commercially available Weird Beard beer to be in pubs. We did have Shark Biscuit a while ago, but this was a collaboration. 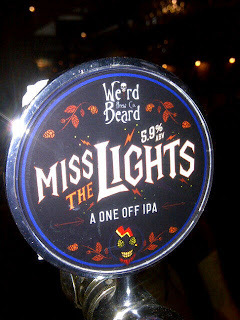 Miss the lights was supposed to be the first beer released, but our good friends at The Bull in Highgate where having a stout and oyster festival. These guys offered us our very first collaboration brew a while back, and we owe them a lot for this, so we couldn't say no. So go and try Black Perle along with some other fantastic locally brewed stouts this week end (14 - 17th March 2013). It's been a bit of a quiet week after the craziness of the last. And it looks like it's going to be a busy week ahead. The idea is to brew once a week, and bottle once a week too. But due to past issues and not wanting to leave a fermenter empty for any period of time, we seem to be having one hugely busy week followed by slow ones. But we have some mega hoppy beers coming up, that will need dry hopping and hence more time in the fermenter, so hopefully things will level out soon. We haven't been sat at the bar all week though. As you can see from the picture above, we finally have some beers to sell. 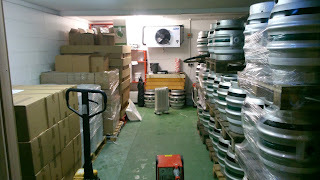 This is meant to be our cool room, where we keep beer just before we ship it out to customers. It is kept cool to keep the beer nice and fresh. Right now though it has been converted to a warm room, as we have found that our beers just aren't conditioning properly in the current cold spell. So we have stuck a couple of the heaters in to keep the temp at around 20 degrees. So what beers do we have in here? 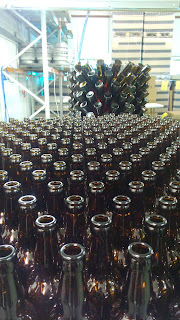 On the left of the room we have bottles of Boring Brown Beer, which we are aging for a while before we start selling. 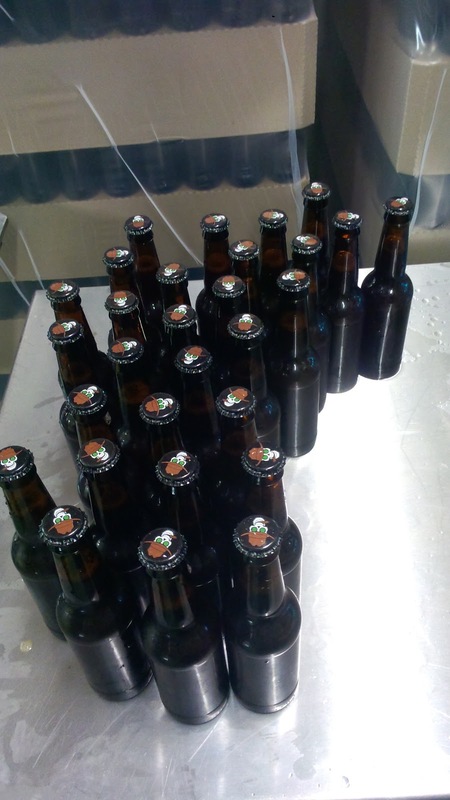 We have some bottles of Miss the Lights, which we hope to get out there pretty soon, just waiting on labels. 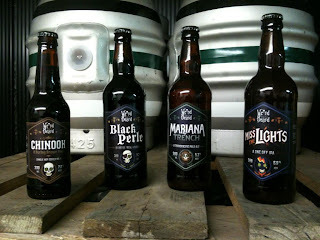 There are also 15 key kegs of Miss the lights and around 800 freshly bottled 500ml bottles of Black Perle. On the right hand side of the cool/warm room we have 60 full casks. 18 Boring Brown, 12 Miss the lights, and 30 Black Perle. 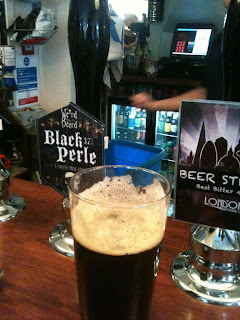 You can sample Black Perle on Cask at the Bull in highgate next Sunday 17th, at their St Patrick's day stout festival. Above is a picture of a half of Miss the lights. It is very hazy, but tasting great. We have a key keg of this destined for the Over the Hop festival at the White Horse later this month. This coming week we will be bottling Mariana Trench, brewing 5 O'Clock Shadow and then Holy Hoppin' Hell. We are very excited about both of these ultra hoppy beers. 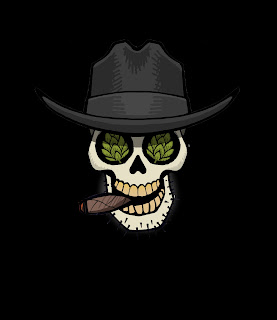 So you may have guessed that we plan to blog about each new beer release. This is the fourth beer to be blogged about and is the first beer that we brewed and the first of a series of single hop beers in assorted styles. So what is the single hop series all about? Well, it is a chance for us to brew one-off beers in a variety of interesting styles or to miss out the style book altogether and brew stuff we think will work. This will allow us to play around with techniques that we may not normally get to use in our day to day beers. Step mashing, lagering and brewing with interesting yeasts are all things that we are considering, all with the constraint of using a single hop variety. These beers will have a common branding theme. The name of the hop in bold in the middle and the style of beer underneath. So what about this single hop Chinook beer? It was our first beer brewed, very simple, Pale and Special B malts, Chinook Hops and Nottingham ale yeast. Sounds a little bit like a best bitter? Well we aimed for 7.2% and hit 7.4%, figured about 100IBU would just about do it. So not quite a best bitter more an imperial best bitter! Or as we call it a Boring Brown Beer. It was not all plain sailing however, as mentioned in the Miss The Lights blog we had temperature control issues with the fermenters. This one topped out at 29 degrees and at that point was leaking beer all over the floor, we were not sure for a long time if this was going to be a drain pour or not. We were planning packing into keykegs as well as bottles and casks but decided not to risk the expensive kegs on a beer we were not sure about. So after a month where are we? There are no off flavours but the bitterness is a touch harsh maybe and the malt character seems to be a little lower than the prototypes. However the bottles are crystal clear and settled and it actually drinks rather well. We hope to debut a cask of this beer at the Egham United Services Beer festival over Easter weekend and send some bottles out to bottle shops early next week. What we do with the other 17 casks is anyone's guess (late edit: some have gone to the Craft Beer Co and Cask Pub & Kitchen). The beer may be a candidate for throwing in an oak barrel at some point and I'm sure one or two casks may sneak out to a few more festivals. As ever let us know what you think. 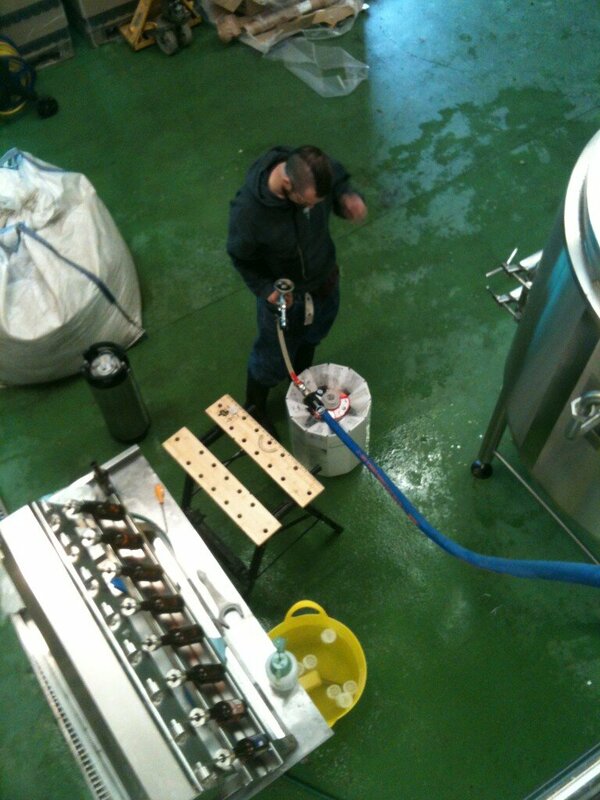 Here at Weird Beard Brew Co we believe in good beer, and being as honest and transparent as possible. In this vein, we would like to introduce you to the second beer we ever brewed on the new brew house, and most likely the first to be released. But first a bit of background. We have essentially been home brewers for the last couple of years, and have got to know our little 21 or so litre brewery set ups at home very well. We know that adding water to the mash at a certain 'strike' temperature will cool down to a usable temperature to mash at. We know how much sugar we will extract from the grain, and hence how much alcohol. We know how long it takes to cool our boiling wort (unfermented beer) to the right temperature to pitch the yeast at, and therefore how long our hops are in the beer extracting bitterness. 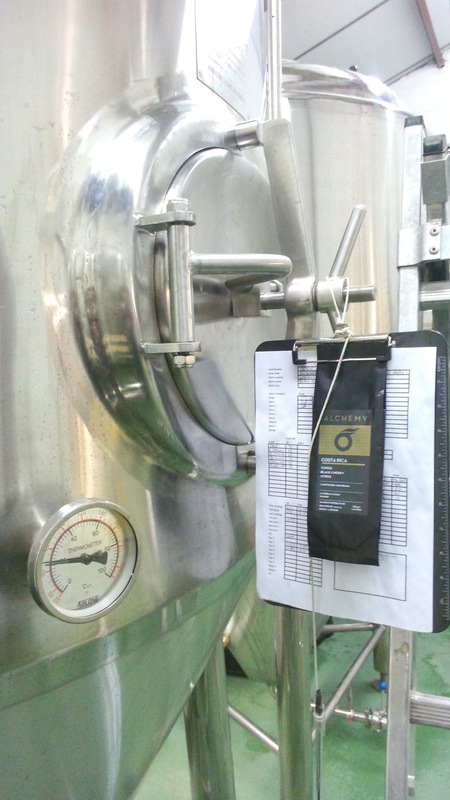 We know how our yeast is going to react with our temperature controlled fermentation. 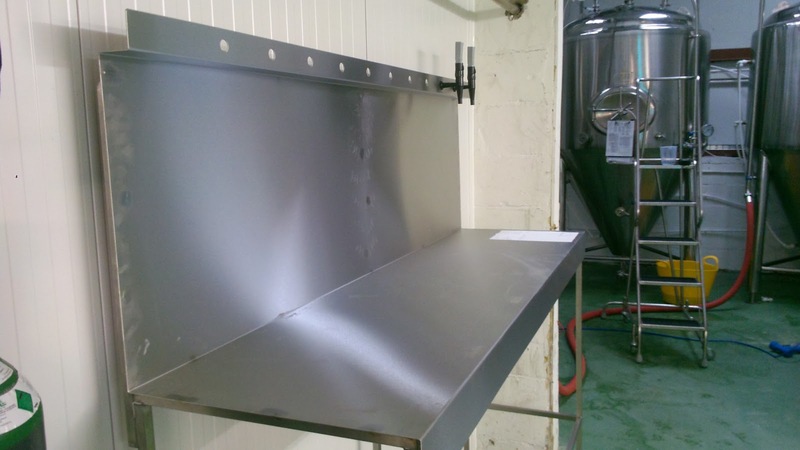 Now translate this up to a 10 barrel (around 1640 litre) brew house you have never used. Things do not work the same at all. You can do all you can, read literature, listen to podcasts or use brewing software to try and scale up a recipe, but until you have actually used the kit, and learned the kit, you will struggle. We opted to brew a non core beer first time round. A simple beer that used just 2 types of grain and one single hop variety. This went pretty well, but until it was fermented out and conditioned, we couldn't really know exactly how the new brew house performs. We were not willing to wait that long, so within a couple of days, we went for a core beer. We decided we wanted Hit the Lights to be the first beer released into the wild. The name alone made it a prime suspect, but we thought the beer would be a good example. This is a 5.8% ABV, 53IBU hop burst IPA. Hop burst means there are no early kettle hops, just loads added at 20 minutes before the end of boil, and then another huge charge of dry hops. This was our first issue. 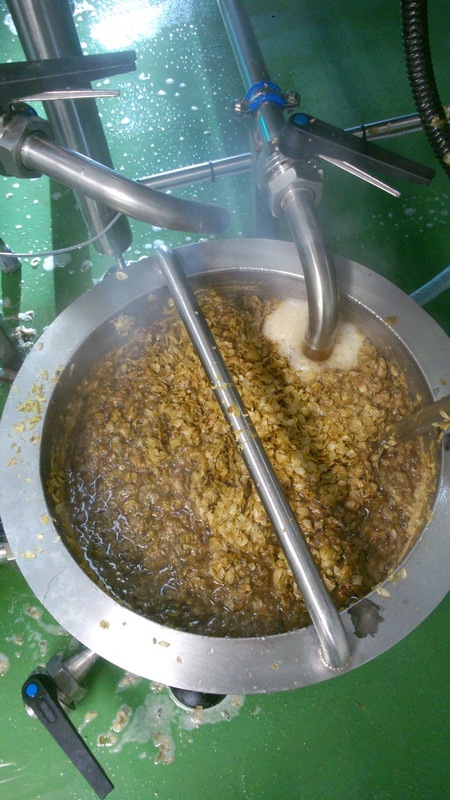 Hop oils help tame the bubbly mass that is produced at the top of the boil, and stops it boiling over. Put no hops in at the start of the boil means no control, resulting in a good proportion of the wort boiling over and escaping the kettle. The idea of adding the hops at 20 minutes before the end of the boil is to give a softer bitterness, along with a healthy amount of taste and aroma. But the longer the hops are in contact with the hot wort, the more bitterness is extracted and more aroma oils are boiled off. After the boil is done we cool the wort down to 18 degrees C, which takes a lot longer to do for this amount of liquid. Also, in all the excitement someone, (Bryan) forgot to add the protofloc, which is a natural additive used to clarify beer, resulting in a slightly hazy product. Unfortunately the temperature control of the fermenters had not been installed to a working standard. So one night, when the fermentation really took hold, the temperature ramped up a little higher than we wanted. This can introduce some unwanted flavours if you are not careful. One way around this is to put a little pressure on the fermenter, so we sealed up the air outlet to allow the pressure to build. This helped alot, but created its own little problem when it came to dry hopping. By sealing the air outlet, the beer had carbonated a little, so adding the hop pellets just created loads of nucleation points for the CO2, think minto in a fizzy drink bottle. This resulted in Gregg, who was doing the dry hopping being attacked by a huge amount of foamy beer spraying out of a small opening at the top of the fermenter, and just missing the ceiling and the lights. Unfortunately no one was quick enough with a camera for this. All of this resulted in a beer that was not what was intended. This is a much more bitter beer, with a slightly different character than what we were shooting for. We debated putting it down the drain, but decided we really quite enjoyed it. 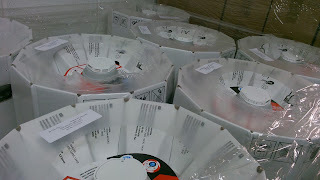 So we have packaged it, 12 casks, 15 key kegs, and around 750 500ml bottles, and will sell it as a one off special beer. When it come to naming the beer there was no competition. This beer had tried to escape and hit the ceiling twice. It was meant to be called Hit the Lights, but missed the target. So we had no choice but to call it Miss the Lights. Look out for it over the coming months and let us know what you think. This now means the Hit the Lights brew has been pushed back. But hopefully we can get this brewed in a few months time, just in time for the summer. We have decided to continue on with the weekly blog for the time being, as long as I can find the time. 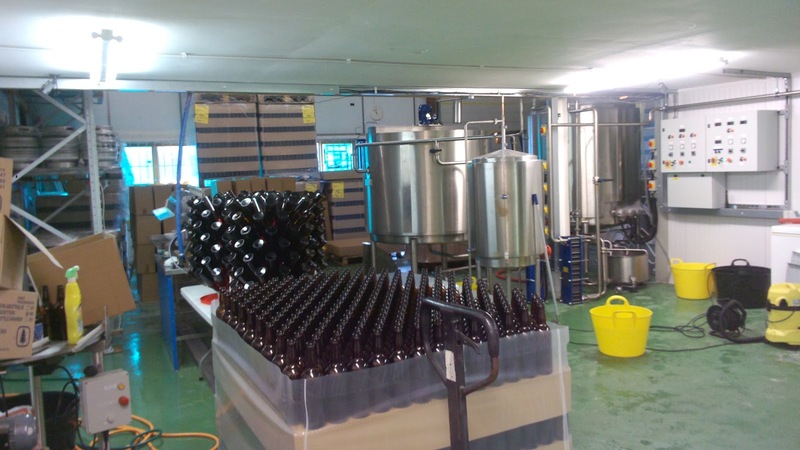 The brewery is pretty much in, and working to a certain extent. The installers have been in over the weekend supposedly tying up all the loose ends. The format of the blog will be changing though. There is little point showing the same pictures each week. This was a great way to show the progress of the build, but now most things are in place these pictures have little point. I would much rather blog about important mile stones we pass each week, and show interesting pictures as we go forward. So as promised at the end of last weeks blog, the week that has just passed was a busy one. 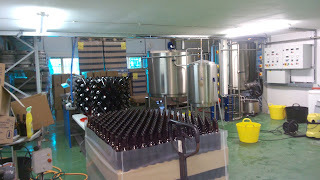 Some quick statistics - 4656 Bottles bottled, 30 casks filled, 15 key kegs filled and 3 new beers brewed. It is worth reminding people that there are 2 breweries under one roof here, and we at Weird Beard are more than happy to help our friends at Ellenberg’s brewery with bottling etc. So a more accurate figure would be 30 casks, 15 key kegs and around 3000 Weird Beard bottles. Last weekend we started by preparing 18 casks, ready to be filled with Boring Brown Beer on Monday. We are hiring our casks, but they are new and branded with our colours. To start with they needed a good clean with detergent, rinsing and then sanitising. We don't actually have a cask cleaner yet, so we needed to bodge one with some empties, bits of wood and a pump with some hose and a spray ball. This all worked surprisingly well. And then it was Monday, our first full day filling containers. 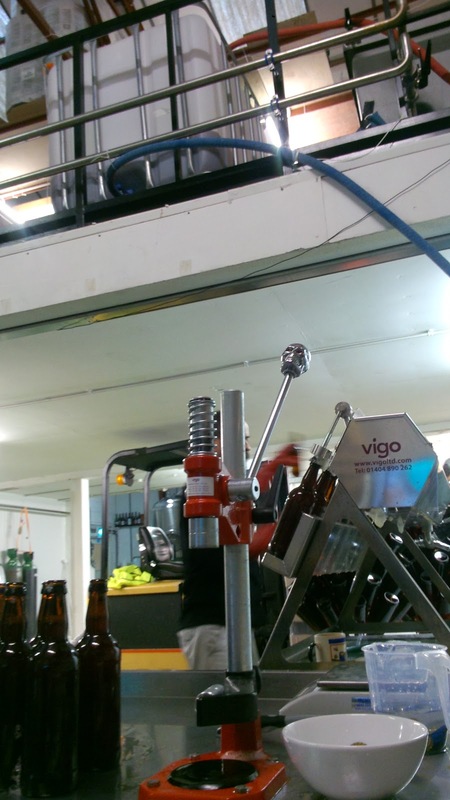 I am not sure anything can prepare you for your first day bottling by hand in a brewery. We have helped out in other breweries in the past, but the pressure is off in those situations. 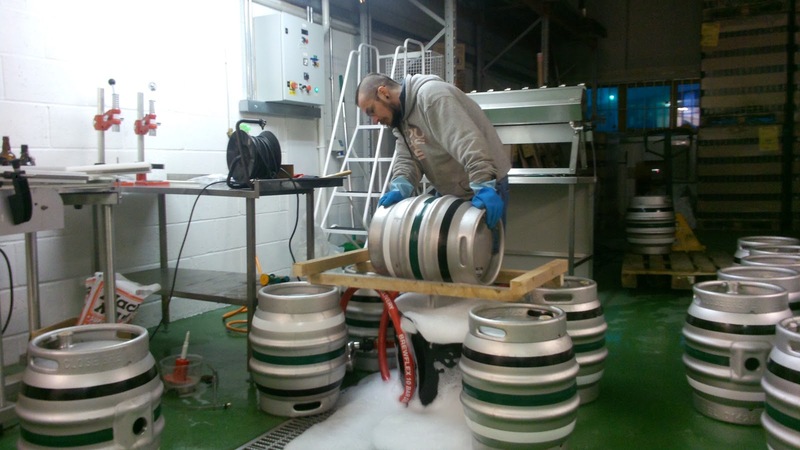 To start with we filled 18 casks, as these will be conditioned to a slightly lower carbonation level to the bottles. It is worth noting that we do not use isinglass or any other finning. This means our beers will be vegan friendly. 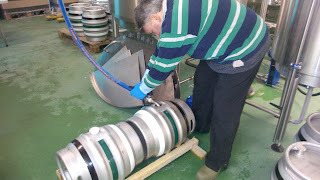 The down side to this, is that our casks will take a little longer to settle, and the beer will not be as clear. We don't see this as so much of a problem, as we know beer can be good even when not crystal clear, and we are going to be dry hopping the hell out of a lot of our beers anyway, and this will throw haze. Next came the bottles. Our process is currently very labour intensive. 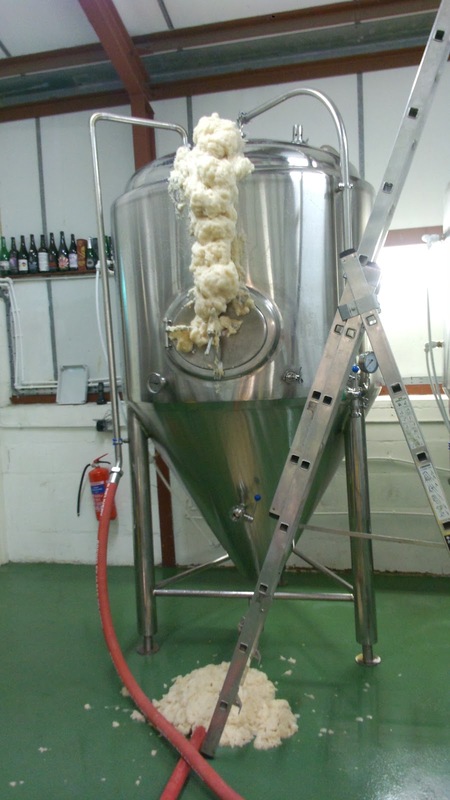 We start by pumping the beer from the fermenter into a bottling tank on the mezzanine, where the priming sugar is added. Then, starting on the left of the first picture, we sanitise the new bottles and stick them on the red draining trees. 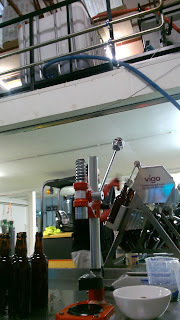 The person filling picks the bottles off these and puts them into our 8 head bottle filler, which is fed by gravity from the tank on the mezzanine. the bottles are slowly filled, and then placed on the next table, where someone will cap them. The capping process is very much like a day in a casino in Vegas playing one arm bandits, so I took to this like a fish to water. Boring Brown beer went into 330ml bottles, as it weighs in at 7.4%, which meant a lot more hard work. 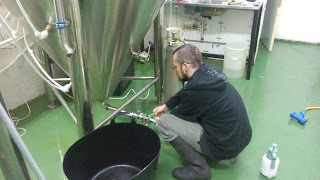 Tuesday was a very exciting day, as we were brewing Black Perle. This is a huge favourite of mine, and anyone else who has been lucky enough to try the prototype of this milk coffee stout. The brew day did not go without it's problems, but we are very happy with what ended up in the fermenter, and can't wait to get it into bottle during the coming week. 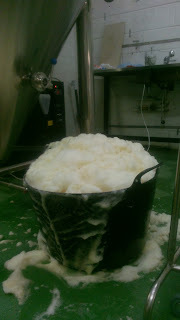 Although we did manage to get quite a lot of it into the fermenter, so as it went into the fermenter it generated a nice head, which tried to escape. We then had to prepare another 12 casks ready for Wednesdays bottling day of Miss the lights. Miss the Lights is an IPA style beer we decided would work well in Cask, Key Keg and 500ml bottles. 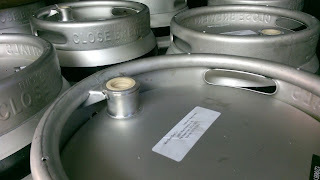 This was the first time we had actually filled key kegs at the brewery, and one poor keg did sacrifice it's life in the learning process. We do not condition our beers in bright tanks and pressure fill, so our key kegs are primed like a cask, so will have sediment, and essentially still be real ale. So don't be confused by the word keg. 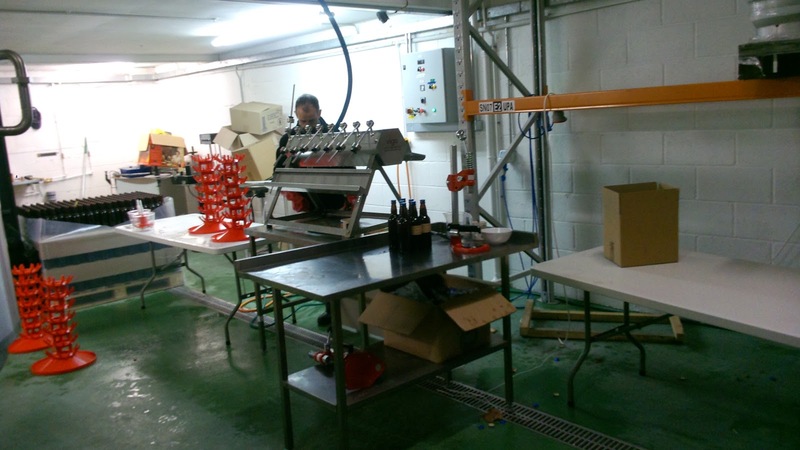 While all this bottling was taking place, Ellenberg's were brewing their fantastically tasty stout, so it was all go. 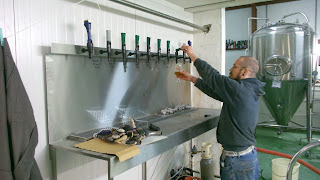 But we proved that multiple things could work along side in this shared brewery. Thursday was another Weird Beird Brew day, this time with out pale ale, Mariana Trench. This was our smoothest brew day yet, until we worked out that we had the wrong yeast for this particular beer. After some frantic tweeting, and Gregg driving out to Hammersmith, we got the yeast and pitched before the day was out. This beer is currently sat in FV4, and is looking and tasting great. Friday, we are all aching but a busy week is drawing to an end. Today was not going to be an easy day though. Ellenberg's are almost exclusively bottling their beers, luckily in 500ml bottles not the smaller 330ml. Part of our sharing agreement means we help them when ever we can, which we are more than happy about, as they always return the favour. We managed to get through 1000 litres of their Alt, before giving up for the week. This means there is another 400 or so litres waiting for us Monday. The Black Perle sat in FV3 was getting close to terminal gravity, so the coffee was sourced from Alchemy Coffee was added, and will be left until tasting just right. 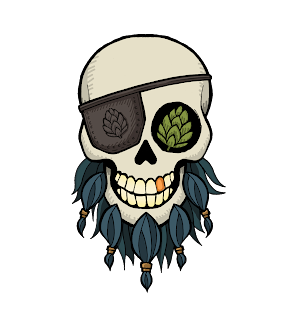 We have not got the labels for any of our beers printed yet, so there will be a day labelling in the not too distant future. But things are very busy and very exciting around the brewery. We have many customers lined up, and a good few festivals have requested casks. So keep an eye out, it is going to be an exciting few weeks.